Enlightenment means different things to different people; most of us have different versions of what it is and how it occurs. In some descriptions it happens in an instant, perhaps as a realization of something, or as a result of doing a certain practice, or by a divine intervention. What the term means to me is the ancient and even timeless universal process of the return of consciousness to its source. Although there are different versions of enlightenment, that's fine, it's just worth recognizing that we don't all necessarily mean the same thing when we say it. It would be great if we could all be conscious of the present moment and connect with the universal source consciousness and hence become enlightened, realizing we are all one, all that is and will be, and there's nothing more to do. The problem with this though is that there is no fundamental change to the nature of consciousness nor does it return to its source - in other words, nothing actually happens. It helps to understand something more about the nature of consciousness than thinking or theorizing about it can give, and that requires personal esoteric experience. To know a little of source consciousness, you could leave your body and temporarily enter the illuminated void, or Samadhi, existing in the light that casts no shadows and merge into the oneness beyond thought; that's a certain kind of OBE, which is very different to a NDE or astral projection. 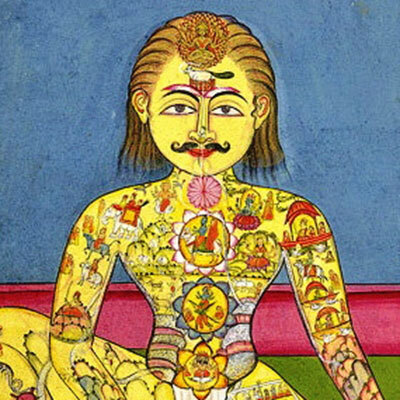 Or better still, you could go through the process of the return to source yourself and merge your consciousness with the cosmic Son, and merge it with the emanation of the source and have the permanent bliss of Samadhi in your consciousness always. Consciousness is not fundamentally changed by any realization of the mind, or by being aware of the now, as in neither of these does it reach enlightenment. Instead it continues to be trapped within the subconscious. A result of this entrapment is that it's impossible to have inner clarity for long, as consciousness inevitably gets smothered by the subconscious with all its impulses, desires, and egocentric drives. It also takes an intention to be in the present moment, which is impossible to maintain as intentions keep changing throughout the day. The thought of being aware in the present moment cannot be sustained, as there are so many activities and situations to deal with, which require thought. The feeling of being in the present moment cannot be sustained either because other stronger feelings come along to take its place, along with thoughts. Therefore, it's only possible to be in the present moment for a short time before losing it to the psychological sleep of daydreaming, of thoughts, the fascination with the things of life, and the various emotions and feelings which involuntarily arise. In practice, that can mean that when trying to be in the now, there is a perception of being here but it is soon lost to the same old ways of thinking and feeling. By practicing being aware, we can increase the amount of time we can sustain awareness, but as soon as we lose our guard the subconscious, thoughts, and sleep, come flooding back. To do something substantial, fundamental change is required in the nature of what we are, so that what is in the present moment in consciousness itself is different. If consciousness is radically changed, then what you are in yourself will bring you back to the present moment, and will eventually keep its remembrance there permanently as an underlying peaceful and blissful thread that runs through your life. Consciousness is the essence of what we are, and is the part that is aware. Fundamental inner change in a spiritual sense requires change not only in consciousness, but also in the nature of the subconscious. Changing consciousness means increasing its capacity and merging it with divinity, as it's never actually changed in substance because it exists timelessly once it leaves the source and enters creation. Changing the subconscious involves converting it into consciousness, studying its different parts, both in daily life and in dreams, supplemented by meditation and out-of-body experiences. Studying the subconscious in daily life means observing thoughts, feelings, emotions, and instincts as they arise at the time, and "dying to them," coming out of them and back to the present moment. By doing this we see and understand what triggers off the subconscious, learn about ourselves, and uncover multitudes of different feelings, drives, longings, etc., that we never knew existed. We see ourselves as we really are by observing ourselves in your daily life, where all the events which we face give the opportunities we need to study our behavior and inner world in this school of life. This inner observation (light) gradually uncovers more and more layers of the subconscious (inner darkness), and this take times to go through. Not least because the events of life that are required for seeing the different parts of the subconscious take a long time to happen. Knowledge has to be extracted from darkness; it is why darkness exists, both in the school of life and in ourselves. It is light and darkness together that create form and both are substance. If it is combined with self-observation, the study of dreams can reveal what kind of person we truly are. Whatever ideas we may have about ourselves, our dreams may show something different. You may for example think that you are kind and peaceful, but in your dreams you may be attacking people, or being angry and aggressive. This is because anger exists in the subconscious, and in dreams we are freed from the constraints of the body, society, and the three-dimensional world, and the subconscious is able to roam freely. Anger is just one of numerous states that exist. Anyone could easily delude themselves that they are very spiritual, or a nice person, etc., but dreams can reveal monsters lurking in the subconscious and can indicate what a person truly is. Moreover, whatever is within the subconscious can potentially come out in daily life at any time, given the appropriate circumstances. The study of dreams can reveal what's inside the subconscious, as whatever exists in them eventually comes out in different ways, whether subtle or obvious in everyday life. Freed from constraints we can do things in dreams that we may never do here, yet what we see in dreams is the kind of person we really are. To study the subconscious through dreams takes time, and to change the subconscious enough that you don't act through ego states here or in dreams, takes time too. Only when you are clear of an ego state in dreams can you say that an ego state is no longer with you. Even then there are layers and layers of the subconscious with ever more subtle details of ego states, all of which need to be uncovered and removed, all of which take away from being in the present moment. The power of that which is aware and in the present moment is small and very limited; it's passive and needs intention in order to be active. This is why the subconscious easily comes in and knocks it out, and so to have anything like sustained peaceful awareness, the psyche and the nature of consciousness needs development. Most of consciousness is trapped within the subconscious. That's why there is always a sense of self even though inner states constantly change. These inner states are in flux, and so it's normal to feel angry or negative one moment, and happy or sad the next. But when we are in an ego state we are that anger, pride, or whatever inner state arises in the moment. By "dying" to the different subconscious ego states, the subconscious converted into consciousness, and this takes time. As the subconscious is weakened, as we extract light from darkness, we increasingly understand ourselves better. 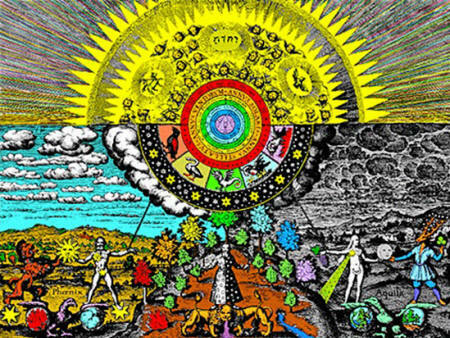 Through alchemy consciousness re-merges with its previously separated parts of consciousness which are the Father, Mother and Son, that were split by its entry to matter when it left the source. As higher spiritual parts merge with consciousness, then increasingly it pushes forward into awareness. It gains strength and becomes stronger than the subconscious. Eventually all the parts unite to form one consciousness, and it returns to its source. This is the enlightenment that's referred to in many ancient writings and symbols. This is a process. We have a physical body which is in time for a reason - it is needed to be able to carry out this process of change. Consciousness is not developed as it is; it is in matter in the school of life for a reason. It has to go through the process to self-realize. Although it seems a contradiction that reality is in the here and now and the present moment is outside of time, yet enlightenment takes time, there is no contradiction once we understand the process of enlightenment. 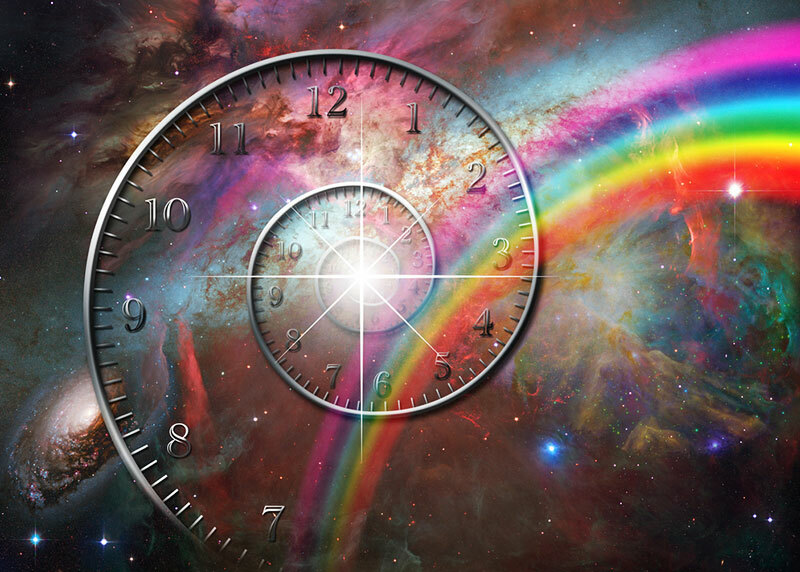 Time exists for a reason. It allows movement and events to take place here; without it nothing would exist. We are in this three-dimensional world for a reason - to build and create ourselves anew and to return to the source consciousness as a unique and self-aware part of oneness. This takes time, and time for us is a precious gift.